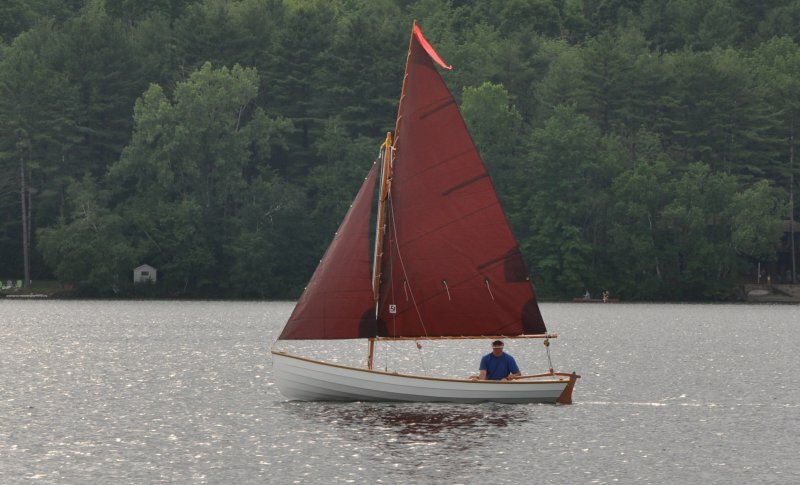 Jessica Glazer took these pictures of her father, Russ, sailing WILLIWAW. 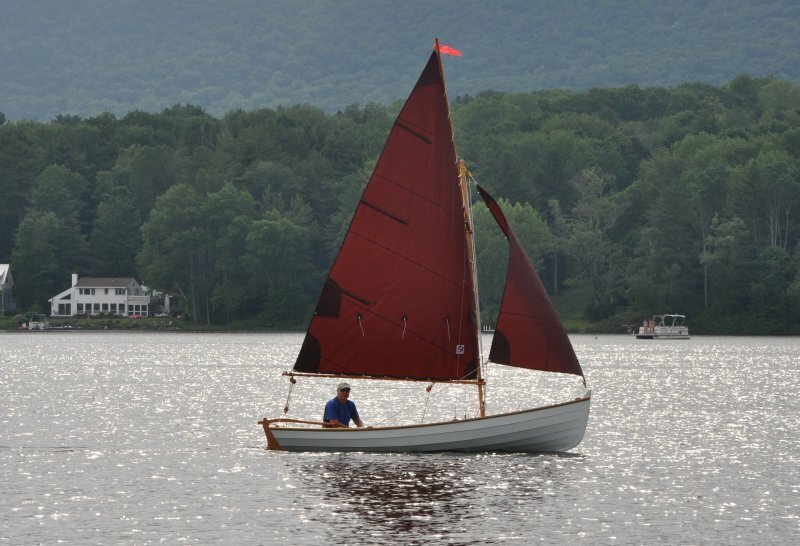 Arch Davis designed the gunter-rigged Penobscot 14 , that Russ built with 1/4″ mahogany plywood, pine stringers and seats, and fir knees and spars. 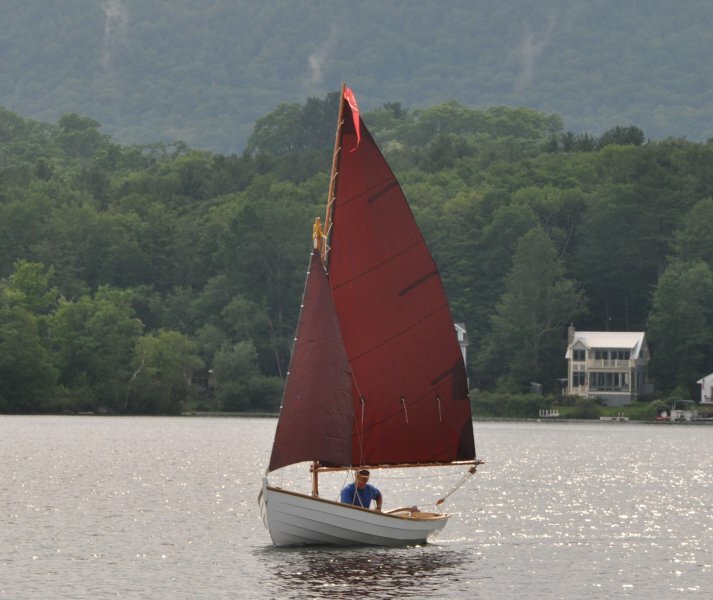 Russ sails his boat in Western Massachusetts.